Big things come in small packages. The Martin LX1E, the acoustic-electric model of the Little Martin, is a fine example of a mini wonder. Make no mistake – it is a Martin, and it’s everything the Martin brand is known for: a fine instrument with outstanding craftsmanship and exceptional tonal quality. The Little Martin is the company’s smallest guitar but there is nothing small about its performance. Its size makes it ideal as an everyday companion – you can bring it to school, work, camp or a coffeehouse gig. 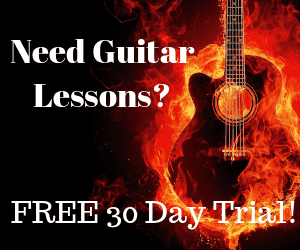 The smaller, more comfortable size also makes it a great guitar for beginners, especially children or teens who may find larger guitars too bulky or cumbersome to play. It’s a favorite of Ed Sheeran – there’s even an LX1E Ed Sheeran Edition! But what really makes the LX1E great? Let’s take a look. 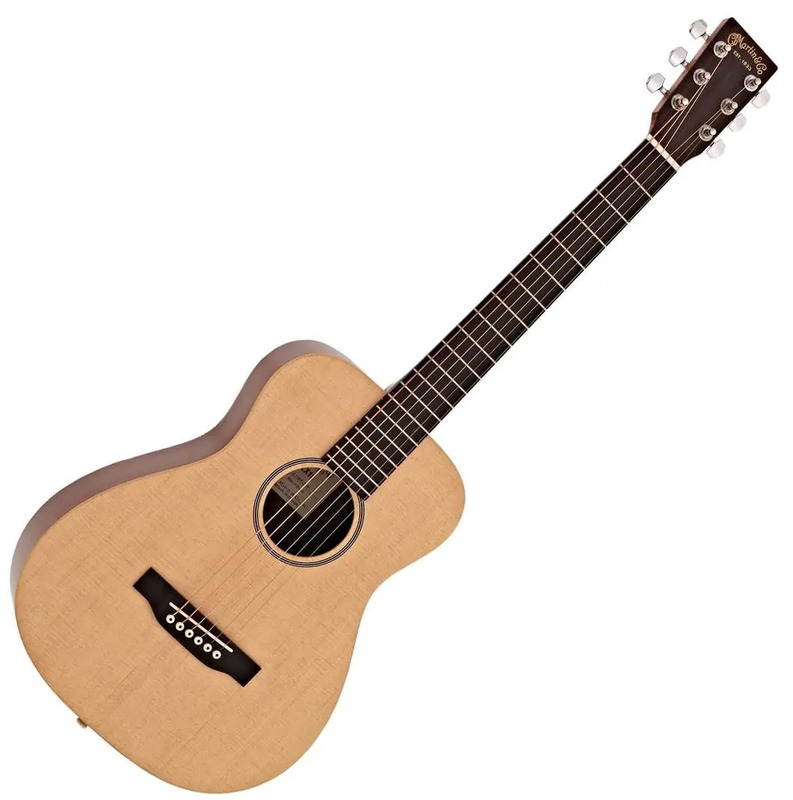 At just 34 inches in length, the Martin LX1E is hands down one of the best compact guitars in the market today. The body of the LX1E is 15 inches long, 12 inches wide and 3 inches deep. The top is made of a solid piece of Sitka spruce, which contributes greatly to the guitar’s amazing tone. 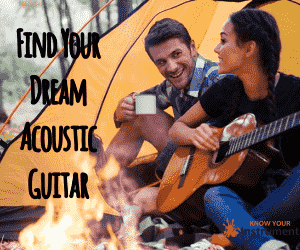 The back and sides are made of a mahogany pattern high-pressure laminate, which gives the guitar the ability to withstand changes in temperature and humidity, which you will surely come across when you’re traveling. The neck has a low oval profile and is made with a rust-colored Stratabond birch laminate, making the neck strong and stiff while keeping costs low. Stratabond necks are actually compressed pieces of wood stacked on top of each other, creating a hardwearing and tough material. This is one of the many reasons why Martin guitars make for great companions no matter the weather. A nice, hand-rubbed satin finish gives the guitar a clean look. It’s interesting to note that the 20-fret fingerboard and the bridge of the LX1E are made from FSC-certified Richlite. Richlite is a material made from post-consumer recycled paper. Since it’s not wood, it guarantees no wood shrinkage and once it is polished, it looks like the more expensive ebony. As a bridge material, the hard and dense Richlite is highly efficient at transmitting the vibration of the strings to the soundboard. The X in the model name refers to the X bracing pattern used in the guitar, which makes the guitar sturdy. The bracing is also made from Sitka spruce. The LX1E has a 23-inch scale length. The scale length on most guitars is a couple of inches longer. The shorter scale length means the frets are also placed closer to each other. This makes the LX1E ideal for beginners or those with small hands, because it will be easier to form chord shapes without having to stretch the fingers too much. In addition, the guitar has a low action for added comfort and playability. The neck is tapered – the width of the fingerboard at the white corian nut measures 1.69 inches. At the 12th fret, this increases to 2.69 inches. The LX1E also features a compensated white Tusq saddle and chrome enclosed gear tuners. The overlay at the headstock is high-pressure rosewood pattern laminate. Except for the multi-stripe rosette around the soundhole, there are no other notable embellishments on the guitar. It looks simple – austere, even – but many guitarists like it that way. For the electronics, Martin equipped the LX1E with a Fishman Sonitone pickup and preamp system so it’s always performance-ready. The Fishman Isys T system on the guitar features a battery indicator light, a built-in 7-segment chromatic tuner, a volume control switch, phase reversal switch and a contour button for EQ tone shaping. Small as it may be, the guitar is nonetheless robust, thanks to the top bracing and Martin’s high standards when it comes to build quality. Durability and resilience are important in a guitar, especially one that’s designed for travel. Martin’s use of sustainable materials – Stratabond and Richlite – that feel and respond like solid wood but don’t warp and shrink ensures that their guitars remain sturdy. The guitar comes with a padded gig bag so you can really take your LX1E anywhere you want to go. The top bracing on the LX1E is instrumental in the guitar’s projection, giving it a full and loud sound for its size. Of course, if you’re wanting more volume, the LX1E has the electronics for that. The Sitka spruce top gives the LX1E a good dynamic range and bright sound, while the sturdiness of the Stratabond neck coupled with the structural integrity of the Richlite fretboard helps in making the guitar stay in tune. The compensated saddle also aids in tonal accuracy, so you needn’t worry about constantly fiddling with the tuning machines. There is also a good tonal balance up and down the neck as well as across the six strings. The only downside we see with the entire setup with regard to sound quality is that you don’t get enough resonance unplugged. This is pretty understandable because it’s a small guitar and the back and sides are made of laminate and not solid wood. Again, you have the Fishman Isys T to address that, and if you really want to take guitar playing seriously it would be a good idea to invest in a good amp anyway. The Sonitone pickup works as well as it should. The contour switch on the Fishman electronics proves useful in cleaning up the midtones and adding a crisp and brighter sound. Why buy the Martin LX1E Little Martin? The Martin LX1E offers a great sound and top-notch quality in a small package. Like the other Little Martins in the lineup, it’s durable and easy to play. The build is tidy – too tidy for some – but it has all the features you need in an electro-acoustic. Oh yeah, it sounds phenomenal too. The LX1E is built to withstand the rigors of travel – from getting stuffed into plane cabins and hot car trunks to being jostled through crowds. If you have dreams of becoming a great musician (who doesn’t? ), the Martin LX1E can help get you there. The LX1E Little Martin is a straightforward guitar designed not only for travel but also for practice, jamming sessions and live performances. Martin built it in such a way that you don’t have to pay for things you don’t really need. The use of sustainable materials keeps the costs down and makes the guitar resilient, something that can’t be said for other travel guitars that compromise quality for cost. For a budget of just a little more than $400, you get tons of power in a compact instrument. The LX1E is definitely one of the best guitars you can buy today.